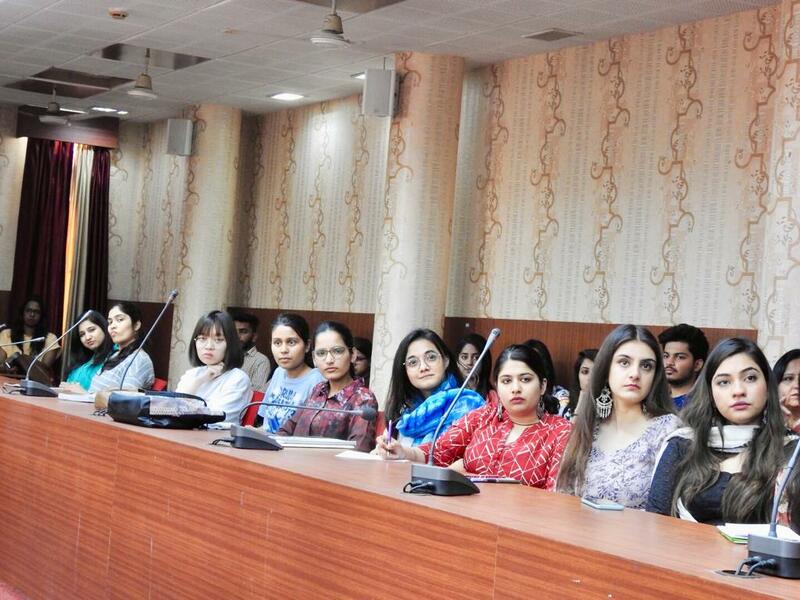 Women cell organized a talk to sensitize students on biological Clock at DAV College: It is good to be career oriented women but Biological Clock has no brain to understand your career need. Dav College sector 10 Women Cell, Department of Psychology, Sarthi For Climate Vandevi Trust and Milann Fertility Center joined hands to make youngsters understand their biological clock of fertility. Dr Jasneet Kaur, Senior Consultant, Milann Fertility Center sector 46 emphasised that girls shall understand and maintain a balance between their career and biological clock because this clocking is ticking andthey will suffer if they would not have sensitized in early age. Dr Jasneet said that Social Egg freezing is not only a need of hour but also a sensitive issue as it is now an emerging problem amongst those couples who marry in late age due to their career satisfaction and establishments. While talking on this Vadevi Trust Chairperson Taruni Gandhi said that It is important for a Parent of a girl to understand that Career of her and her Biological Clock both are equally primitive issue and to strike balance between both they need to understand the concept of Social Egg freezing. DAV College sector 10 Principal Dr Pawan Sharma told students to understand nature and understand balanced therapy so as to meet all personal and social requirements. Dr Shruti Shorie, Coordinator Women cell and Professor of Department of Psychology thanked orators and principal for initiating this effort.